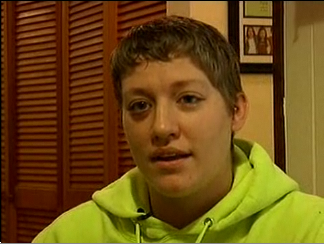 Why Was This Lesbian Arrested After Being Attacked By A Mob? 25 year old Sarah Gilbert was arrested outside of an Alabama bar after being attacked by a group of people, including two men. Althought Gilbert was targeted because she was a lesbian, and police officers were unable to provide a reason for the arrest to a local news affiliate, Alabama hate crime laws to not protect citizens on the basis of their sexual orientation. Gilbert, the victim, was the only person arrested – even though she was beat by two men. “As they were hitting me and everything, I heard a man say ‘If you want to look like a man, you’ll get hit like a man. '” Horrendous. Why was this hate crime victim arrested?